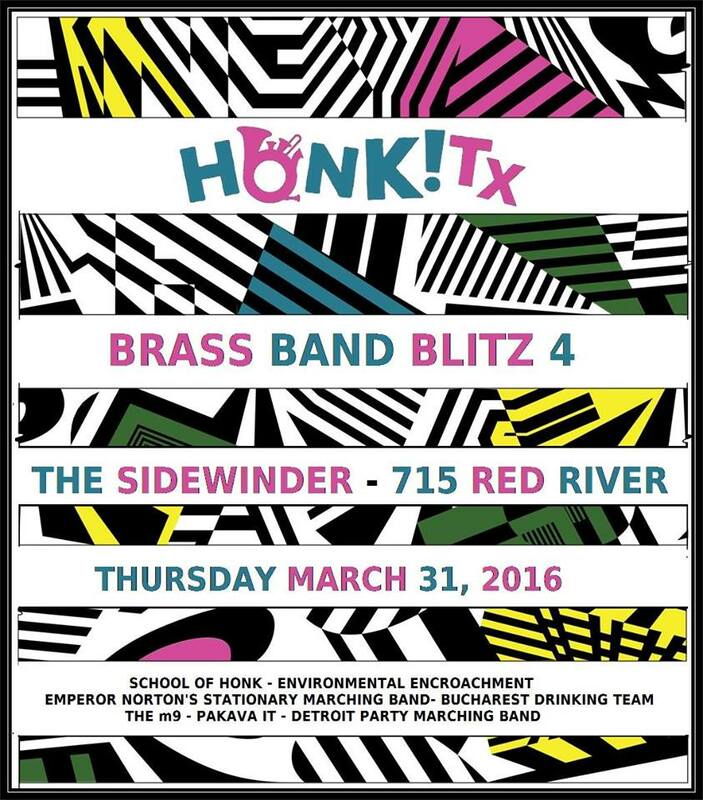 The m9 is elated to have been invited to perform at the 6th annual Honk!TX Festival of Community Street bands in Austin, Texas. 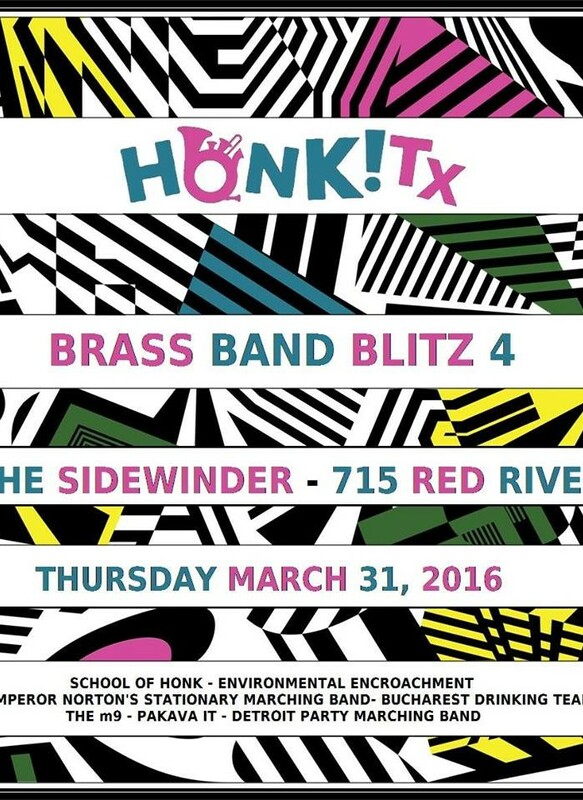 On Thursday, March 31st, The m9 will be featured along with six other bands travelling to Austin, Texas from far away at Brass Band Blitz 4. Doors at 8, The m9 at 11pm. The cost is $10, with all proceeds to cover travel costs of the travelling bands. The m9 is thrilled to have the opportunity to bring our own flavor of modern Romani-style brass music to Texas to share with a whole new audience. We can’t wait to see you, Texas.